MADERA COUNTY (KFSN) -- The Madera County Sheriff's Department responded to a report of a baby deer that fell into a swimming pool, could not get out, and was near death. In a Facebook post, they describe how the Deputies were able to rescue it. 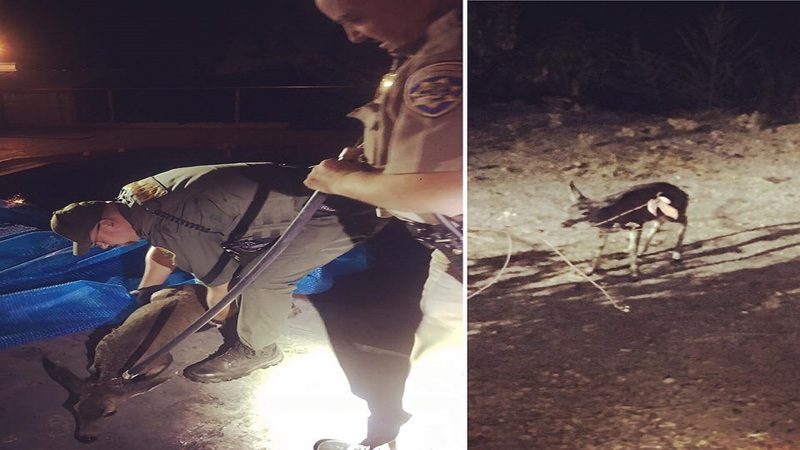 Deputy Chambers along with help from the California Highway Patrol was able to use some equipment to safely pull the animal to safety. The deer was later able to walk away and appeared to be fine.